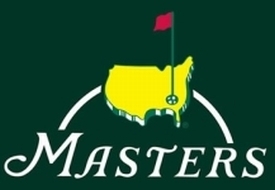 The picks and round 1 standings for the year's first major are on the site. We chose 31 golfers. Everybody thinks Jordan Spieth will rebound from his back nine Sunday collapse last year. He is our first unanimous pick of 2017. Thirteen of us think Rory will complete the career Grand Slam. Rickie Fowler got 12 votes. Rahm and the drunken, stumbling, now on some really good drugs, D.J. were picked 9 times each. Phil got the nod 7 times. Justin Rose shows up on 6 teams. Matsuyama and Day are 4-baggers. Casey and the Bubba are treys. Deuces abound: Kisner, Garcia, Leishman, Noren, Westwood and Louie O.
Fourteen unique picks. Hugh, Joe, Randy and Bill have 2 each. Dave, Dan, Jordie, Oliver, Mike D. and Brian G. have one each. The other 6 of us could not find a unique pick among the hills and azaleas.